Take a look at the number of errors in the obit of one of the NYT's own. Nancy Hicks Maynard, who was the first black woman to be a reporter at The New York Times and with her husband bought and published The Oakland Tribune, still the only major metropolitan daily to have been owned by African-Americans, died Sunday in Los Angeles. She was 61 and lived in Santa Monica, Calif. The cause was multiple organ failure, her daughter, Dori J. Maynard, said. Ms. Hicks Maynard, who was also a co-founder of an institute that has trained hundreds of minority journalists, was a 21-year-old former copy girl and reporter for The New York Post when she was hired by The Times in September 1968. Almost immediately, she was sent to Brooklyn to help cover the Ocean Hill-Brownsville school decentralization controversy, which led to a citywide teachers’ strike, accusations of racism and anti-Semitism, and eventually the creation of local school districts throughout the city. By less than a year, Ms. Hicks Maynard preceded Charlayne Hunter-Gault as the first black woman to become a reporter at The Times. In 1974, at a black journalists’ convention, Ms. Hicks met Robert C. Maynard, a columnist for The Washington Post. Within a year they were married; they quit their jobs and in 1977, with seven other journalists, founded the Institute for Journalism Education. It was renamed the Maynard Institute for Journalism Education after Mr. Maynard died in 1993. Now based in Oakland, Calif., the institute has trained hundreds of minority journalists in the last 31 years. 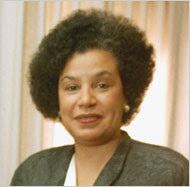 Ms. Hicks Maynard was the institute’s first president and a member of its board until 2002. As other organizations began similar programs for minority reporters, the Maynard Institute began shifting its focus to training editors and newsroom managers. In 1983, the Maynards bought the financially ailing Oakland Tribune from the Gannett Company. For nearly a decade, they were co-publishers, bringing a high degree of diversity to the newsroom. Mr. Maynard died a year after declining revenues impelled the Maynards to sell the paper to the Alameda Newspaper Group. In her first few years at The Times, Ms. Hicks Maynard covered race riots, black student takeovers at Columbia and Cornell and a memorial for Robert F. Kennedy. She later wrote for the paper’s education and science news departments, specializing in health-care coverage. Her subjects included the complexities of Medicare, an explanation of the arrangement of whiskers on a lion’s face and coverage of the Apollo space missions. In 1973, she spent a month in China, analyzing its medical system. Nancy Alene Hall was born in Harlem on Nov. 1, 1946. Her father, Alfred Hall, known as Al, was a noted jazz bassist and her mother, the former Eve Keller, was a nurse. Ms. Hicks Maynard’s first husband, Daniel Hicks, died in the early 1970s. Besides her mother and her daughter, she is survived by her partner, Jay T. Harris; two sons, David and Alex Maynard; a sister, Barbara Guest; and a brother, Al Hall. Ms. Hicks Maynard received a bachelor’s degree in journalism from Long Island University in 1966. She first became interested in journalism as a teenager. When a fire destroyed her former elementary school in Harlem, she became outraged at the way her community was described by the news media. She decided she could make a difference. Correction: September 25, 2008 An obituary on Tuesday about Nancy Hicks Maynard, a newspaper publisher and journalism educator, included a number of errors. Ms. Hicks Maynard was 21, not 23, when she became the first black woman reporter for The New York Times, in 1968. One of the events she covered early in her career with The Times was a tribute dinner for Robert F. Kennedy after his death; she did not cover his funeral. Ms. Hicks Maynard and Robert C. Maynard, her husband, were joined by seven other journalists in 1977 in starting a journalism institute for minorities; the Maynards did not found it alone. The organization’s original name was the Institute for Journalism Education — not the Maynard Institute for Journalism Education, as it was renamed after her husband died in 1993. And The Oakland Tribune, which Ms. Hicks Maynard published with her husband, was sold to the Alameda Newspaper Group in October 1992, while her husband was still living — not after his death.